Learning things online can be lonely, frustrating, distracting, and ineffective. We set out to change that by creating a more personalized approach to learning music online. Here’s why learning with us is more effective. When you hear the phrase “online course,” you’re probably imagining sitting back, passively watching videos or tutorials. Learning in this way is really common, but research shows it’s not actually a very good way to make progress or retain information. 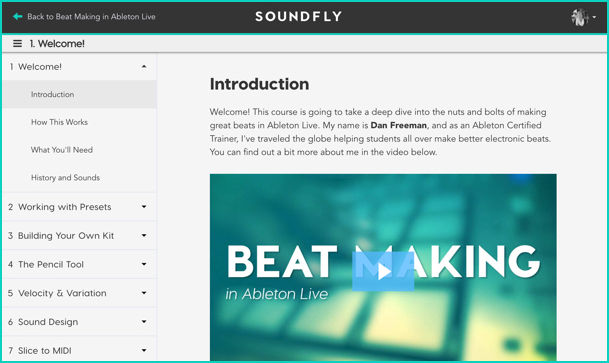 Instead, at Soundfly, we built our model on the concept of active learning — the idea that we learn best by doing. Our courses are designed to get you putting lessons into practice every week, with feedback, accountability, and help from a personal expert mentor along the way. Find a six-week course that matches your goals. Our courses include unlimited access to high-quality videos, demos, quizzes, and readings, as well as carefully crafted course activities designed to help you make incremental progress each week. Get matched with a mentor committed to your growth. We will use info you tell us about yourself to pair you 1:1 with an expert musician whose skills and experience make them the perfect fit to guide and support you during the course. Learn better with clear weekly goals and challenges. Courses are divided into weekly sections and activities so that you can take small, achievable steps forward, without getting overwhelmed. Get in-depth feedback and personal support every week. Every week, your mentor will send you feedback on your work, offer suggestions for areas to focus on, and be available to answer questions if you get stuck. Listen to some work from recent students. Swamped? We can work around your schedule. We've built flexibility into our courses, with course work that can be done in your spare time, mentors that work around your schedule, and two “Catch Up Weeks” that allow you to pause anytime. Here's what you get when you enroll. Let us help you find the right course and mentor. 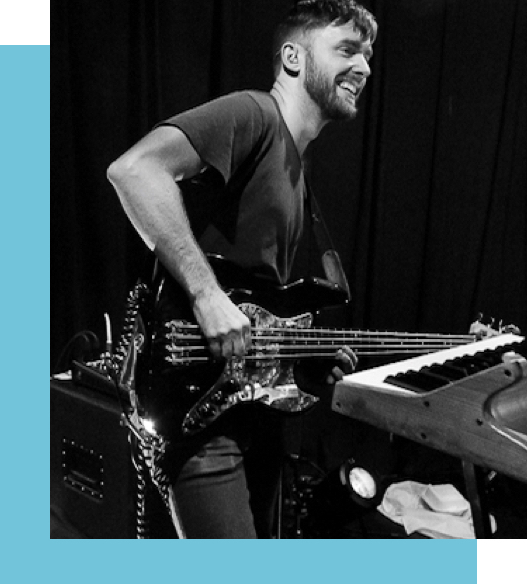 Fill out this quick form to talk to one of our advisors about the best program for your musical goals. Start Investing in Your Music Career Today.